It goes without saying that you can have a jolly good time with just a great game and your console, but for gaming aficionados looking to really get the most out of their screen time, the best PS4 accessories can elevate an already fun experience to something awesome. While things like external hard drives and controller charging stations might not seem the most exciting additions, they’re absolutely essential if you play a lot of memory-demanding games and love your custom content, or want to make absolutely sure you’re not forced to bow out mid-melee thanks to a blinking battery light. For its undeniable usefulness, the humble DualShock 4 controller takes our top spot, because what’s a great game without multiplayer mode? Whether you’re schooling a loved one at FIFA 18 or teaming up on Overwatch, you’ll want to keep a few of these around. Where it gets really exciting is in the VR arena. Virtual Reality has come home in a big way on the PS4, and you can harness its power with the PS VR kit – reviewers say gaming will never be the same again. Play a lot of shooters? You’ll be wanting the VR Aim Controller in your arsenal too. It might seem obvious, but the PlayStation controller really is the ultimate PlayStation accessory. Adding a couple of extras to your collection not only means including friends in the fun, it also means getting the benefit of loads of extra multiplayer content that takes you far past the main campaign, and as far as reviewers are concerned, the DualShock is still the best. It still has the same ergonomic design for comfort during hours-long co-ops, but it’s taken on a few extra capabilities in recent years: a share button to upload that epic melee combo instantly to social media, a light bar for atmospheric gameplay, and a built-in speaker to name a few. The PS4 finally receiving external hard drive support was big news last year, and Seagate are on it in a big way with their 4TB external hard drive, which just so happens to work with Xbox One and PC too, if you’re that way inclined. Seagate also do a 1TB version of the Expansion USB-powered hard-drive, which may be just fine if you’re sick of constantly having to delete data and custom content to make room for games, but if you burn through big-ticket games quite quickly and want the peace of mind that comes with that extra legroom, 4TB is the way to go. You don’t have to be a big-name Twitcher to get a kick out of recording your gameplay, and whether it’s a nostalgic runthrough of a retro game, an impressive lap on Forza, or an unbelievable gravity defying kill on Overwatch, it’s said to be a cinch with this Elgato HD video capture device. You can record Playstation, Xbox or Wii U gameplay to a Mac or PC for editing before you upload, or even live stream to YouTube or Twitch to show your followers how it’s done. Missed that big shot? Don’t worry, there’s Flashback Recording for retroactive capture, so your prowess will never go unacknowledged. The PlayStation Camera isn’t a sensible purchase for everyone, as there aren’t many games that use it to its potential (unless you play a lot of Just Dance 2014). 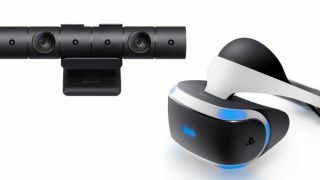 But if you’re already the proud owner of the PlayStation VR headset, it might make a fun addition to your setup, and its smart, sleek design means it can fit in almost anywhere. The pre-installed Playroom is great mindless fun for starters, allowing you to interact with a roomful of tiny white robots and enjoy other tech demo-esque bits as you get used to the actions, but it’s with the VR kit that it comes into its own, as the camera tracks the movements of the headset. Sure, calling it an accessory at this price can feel a little like an understatement, but it’s a small price to pay for an add-on that has its feet so firmly in the future. This VR headset comes with all the essential bits and bobs including adapters, processor unit and earbuds, and you can choose from a range of game bundles to get started straight away, from huge RPG Skyrim to legendary intergalactic shooter Doom. Users said that between the almost touchable graphics and all-round sound, playing with the headset was like being in a movie, so if you’re looking to get that bit more from your gaming, it looks to be a brilliant buy. Already added the DualShock PlayStation controller to your cart? Whoa there, picture this: you’re helping a friend attack a foe, when all of a sudden you find your avatar unresponsive and your buddy without backup. Harrowing. The way to make sure none of that nonsense befalls you is with a reliable charging unit, like this official one from Sony. With slots for two wireless controllers to charge at once, it ensures you’ll never be caught short – so long as you remember to turn it on, that is – and it can plug into the mains anywhere, eliminating the need for those notoriously short USB charging cables. First person shooters (or FPS, for short) have gotten even more immersive of late thanks to the availability of at-home VR technology (virtual reality, for long). This VR-compatible controller ensures you keep your head in the game, making it feel as if you’re really wielding a plasma cannon on some distant planet, even if it doesn’t look that way to casual observers. Even better, the controller comes as a bundle with alien shooter Farpoint, and reviewers found it to be a match made in heaven, loving the powerful rumble feedback when you shoot and finding it to be worlds apart from the unwieldy DualShock controller experience. Test out your new tech with our pick of the best racing games and zombie games for PS4, Xbox, PC and more.